For generations, the Oxford English Dictionary has been the default dictionary of the English language. Until a word graced the pages of the OED, it wasn’t a real word. However, thanks to the changing publishing industry, when the newly-revised third edition of the Oxford dictionary is ready for printing, there might not be an audience. It’s a very real possibility that the Oxford English Dictionary may eschew paper and become online-only. 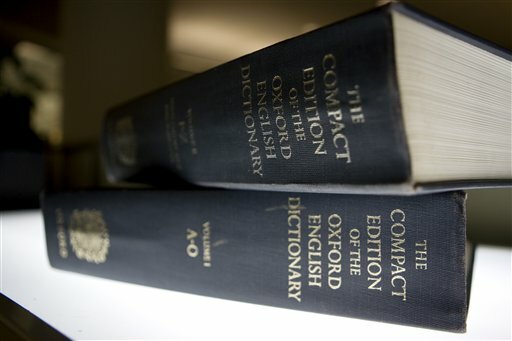 The online version of the Oxford English Dictionary was launched in 2000 and gets over 2 million hits a month. Users pay $275 per year for unlimited access to the dictionary and its constantly-updating definitions. Meanwhile, the last print version of the OED was published in 1989. The 20-volume, $1290-dollar beast sold 30,000 copies, mostly to libraries. The writing is on the wall, rather than on the page. The future is digital everything. “At present we are experiencing increasing demand for the online product,” reads a statement from the publisher. “However, a print version will certainly be considered if there is sufficient demand at the time of publication.” Meanwhile, while the Oxford University Press dithers on the future of the OED, a team of 80 lexicographers is hard at work assembling the third volume of THE dictionary of note, aware that the next volume might be the last.